Make your table a standout with this striking, mid century modern serving bowl! This beautiful art glass and sterling silver condiment boat would look great on your table but could easily pull double duty as a candy or nut dish, floater vase, potpourri holder . . . 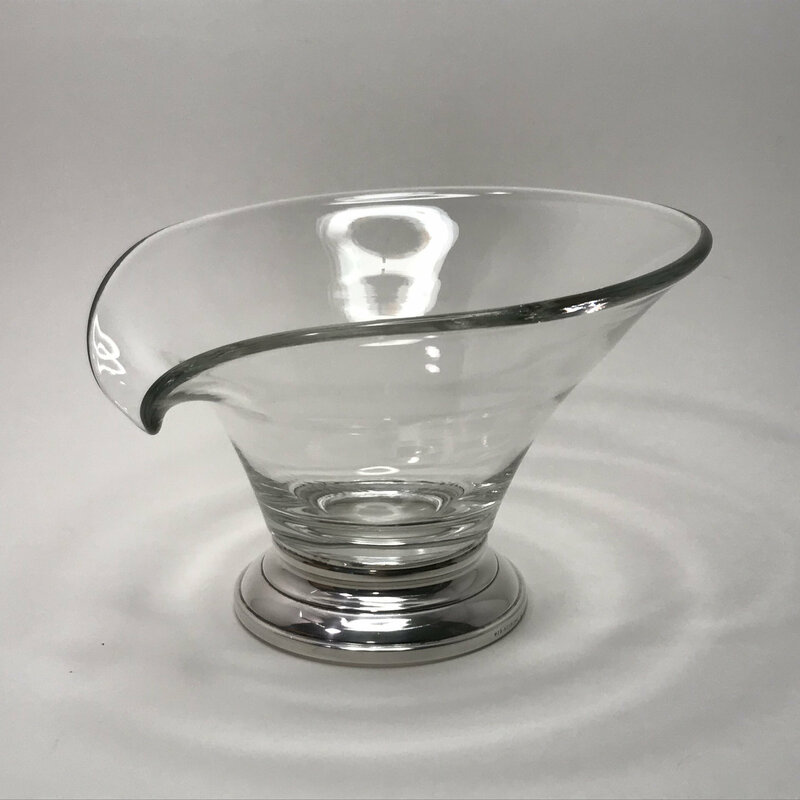 The petite bowl is in excellent vintage condition with no chips, cracks, breaks or repairs to the 1/8" thick glass. The piece measures 5 5/8" in diameter at the rim (5 7/8" wide at the spout) / 3" in diameter at the base. The smooth, sloping rim measures 3 3/4" high at at one end; 2 1/4" at the pour spout. The glass is clear and scratch-free.